The U.S. contingent set to compete in Dubai was scheduled to arrive there Wednesday, a week and a half ahead of the March 31 event. Of the 15 U.S.-based runners were expected to make the flight, five of them are competing in the $10 million Dubai World Cup: West Coast, Gunnevera, Mubtaahij, Forever Unbridled, and Pavel. Two of the five, including likely favorite West Coast, are trained by Bob Baffert, seeking his fourth World Cup victory following last year's scintillating win by Arrogate. 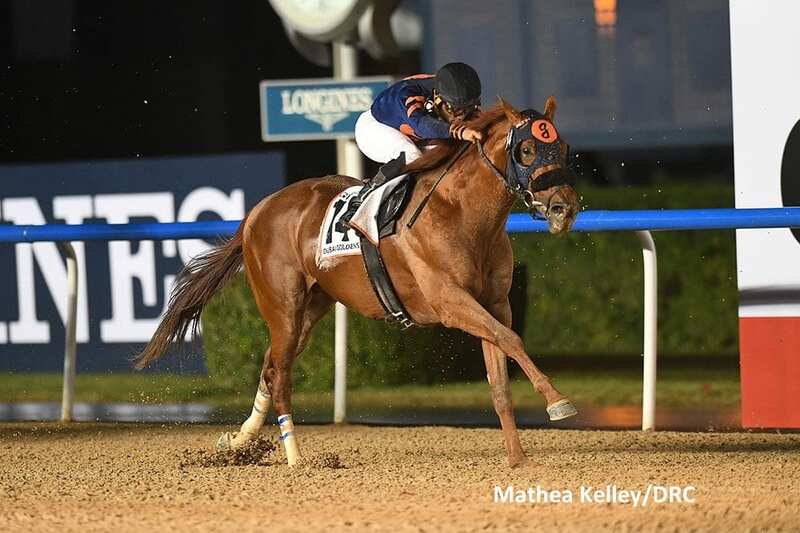 The three American-based runners in the $2 million Dubai Golden Shaheen also loom large as potential winners — last year's winner Mind Your Biscuits, Roy H. and X.Y. Jet. Conquest Tsunami, Richard's Boy and Stormy Liberal, all trained by Peter Miller and Holding Gold (Mark Casse) are headed to the $1 million Al Quoz sprint over the straight course, while Steve Asmussen-trained Reride is set to compete in the $2 million UAE Derby. Run Time, trained by Mike Maker, will make a bid in the Gold Cup, a race of about two miles over the turf. Chad Brown trained Economic Model is set to go in the Godolphin Mile, a race Sharp Azteca was scratched from. Click here for the likely fields in all of the Dubai World Cup races. This entry was posted in NL Article, Racing and tagged Bob Baffert, dubai golden shaheen, dubai world cup, forever unbridled, mind your biscuits, west coast by Paulick Report Staff. Bookmark the permalink.